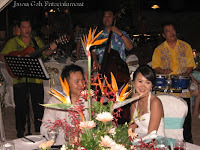 Jason Geh - Live Jazz Band for Hire in Kuala Lumpur, Malaysia: Don’t hire "wedding singers" until you read this! Don’t hire "wedding singers" until you read this! 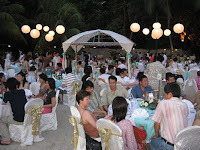 Before hiring wedding singers for your wedding in KL or Malaysia, there are certain things to take note of. 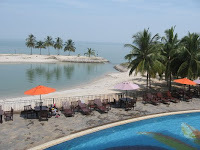 Firstly, a lot of wedding couples ask me whether they need to acquire entertainment or performance license when hiring wedding singers or live bands to perform for their wedding in Malaysia. Well, entertainment license is only required for company events and not for weddings, which essentially benefit the wedding couple as they get to save on the license fees. Yeah! Secondly, our wedding singers and music group can consist of three to five professional musicians / singers and crew from the sound supplier. 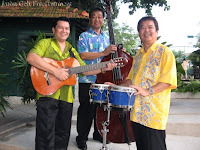 For example, if you were to opt for the jazz quartet package with the sound system, you’ll be receiving 4 top quality, experience and talented musicians / wedding singer and the entire sound system to support the band including external speakers / stage monitors / sound engineer / audio player / musical instruments / amplifiers / audio mixer / microphones etc. Hence, wedding clients need to set aside a reasonable budget allocation for the hiring of wedding singers / entertainment. An affordable investment to retain beautiful memories of a once in a life time occasion. Thirdly, longer performance duration doesn’t mean better. I believe in giving the best show during performance and leave the audience craving for more of the wedding singers. 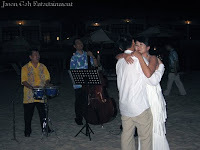 If the spectators leave the wedding feeling that they had enough or too much, then that’s not entertainment any longer. Wedding couples tend to equate longer with better. For me it's about providing color, quality and ultimately value, during a stipulated performance duration. 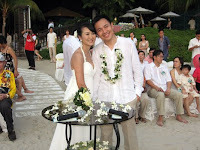 Today, our wedding singers performed for the wedding of Jason Yew and Bee Teng at Avillion Port Dickson on the 30th of May 2009. 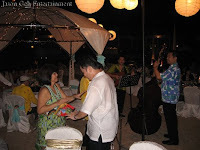 It was a very romantic wedding reception dinner held by the beach with our wedding singers entertaining the guest with easy listening favorites and later hype up their repertoire for an active dance session with the guest. Yes, we do perform for weddings outside of KL as well. 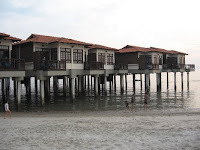 Do spend some moments browsing through my wedding singer website. There’s a few key videos there about us. Go to my other music band website, to view archives of our past performances. Jason Geh & Team, you all did a good job!! I remembered engaging you all in my wedding function 2 years back (yes, exactly 2 years ago). My guests were entertained well by your band. “Wedding Singer” for my wedding in Malaysia?? ?